Back in 2009, we presented you JS Watch co. Reykjavik, as one of the smallest watch manufacturer in the world. After four years, the saga of master watchmaker, Gilbert Gudjonsson continues, as he and his small company assembles absolutely exciting timepieces. 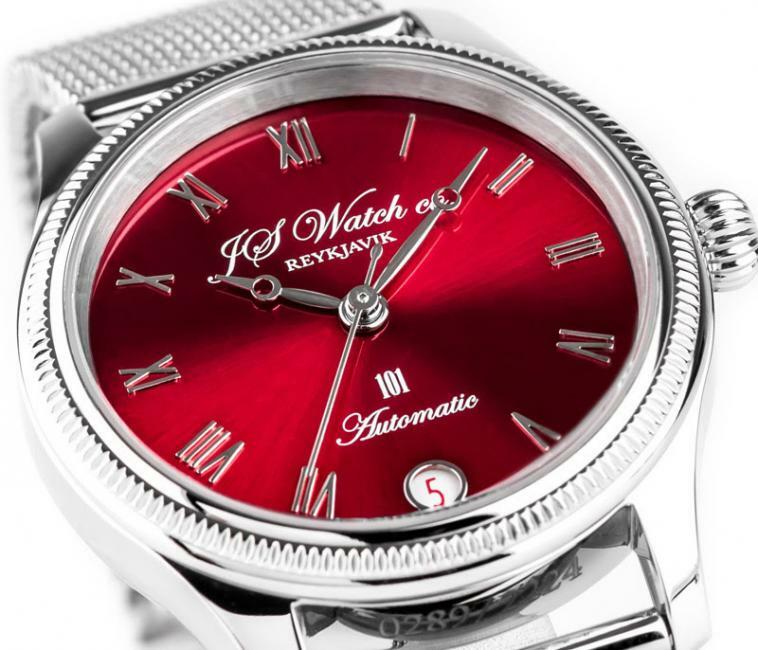 Their latest addition is the new 101 32mm collection, with a red sunburst dial with Roman numerals in silver. It comes in a 32 mm Stainless Steel case with a curved antireflective sapphire crystal, see-through sapphire crystal back and Rhodium plated Breguet style hands. 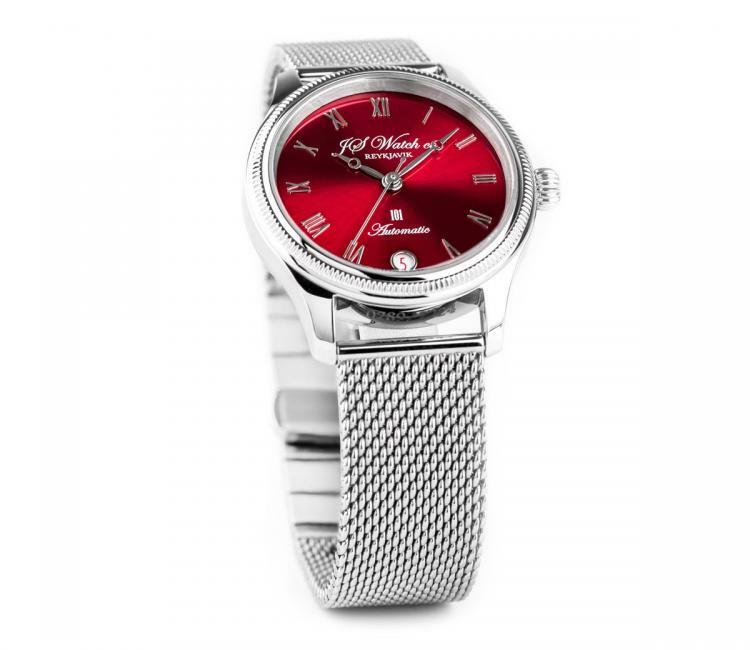 The 32 mm case and the strap is made from the finest German surgical grade Stainless Steel “316L” which is the same utilized for medical implants. Inside the watch you’ll find ticking a Soprod A10-2 “Execution Top” movement. In case you’re not familiar with Soprod, it a Swiss movement manufacturer, that is well respected in the watchmaking circles. All parts created for JS Watch co. Reykjavik watch collections are crafted in Germany and Switzerland while adhering to JS Watch original designs, by nine esteemed companies that have been specializing in creating either cases, movements, dials, hands, or straps etc. for some of the world’s leading watch brands for many decades, while also enjoying a reputation for the highest quality production from only the best materials available. The watches are then hand assembled with a profound respect for traditional watchmaking in their workshop in Reykjavik, Iceland.